Sometimes it happens that we want, or even need, to develop a new handload for a new discipline that we want to shoot, or for a new weapon. I'd like to talk about how to go about this by describing my own search for a light .38 Super Auto handload. I've been shooting the Steel Challenge for some years now. As I also wanted to start in the Open Division with my Tanfoglio Gold Custom, I needed to find a suitable load. The usual procedure at this point is to first read up on comparable components in powder manufacturers' publications to find a suitable load for the desired application. In this regard, the published gas-pressure and velocity data can provide an initial orientation for the result to be obtained. For example, if a certain minimum factor is to be attained, the theoretically feasible factor can be calculated on the basis of the bullet weight and the velocity achieved with the model load. As in my particular case there is no minimum factor that must be achieved for the Steel Challenge, I was looking for a medium velocity with a light bullet so as to keep the recoil factor down while at the same time assuring 100% weapon function. In the published RS load data, I found a load that uses RS20 and a 115 grain bullet that seemed suitable on the basis of the data. As every weapon is different, you of course initially need to find out whether the published load meets the desired parameters in your weapon. To do this, you normally first make up a small lot of the load and test it at the range under authentic conditions. Ideally, you can also use a velocity measurement device to compare the published velocity with that actually achieved and draw conclusions for your own load from this. 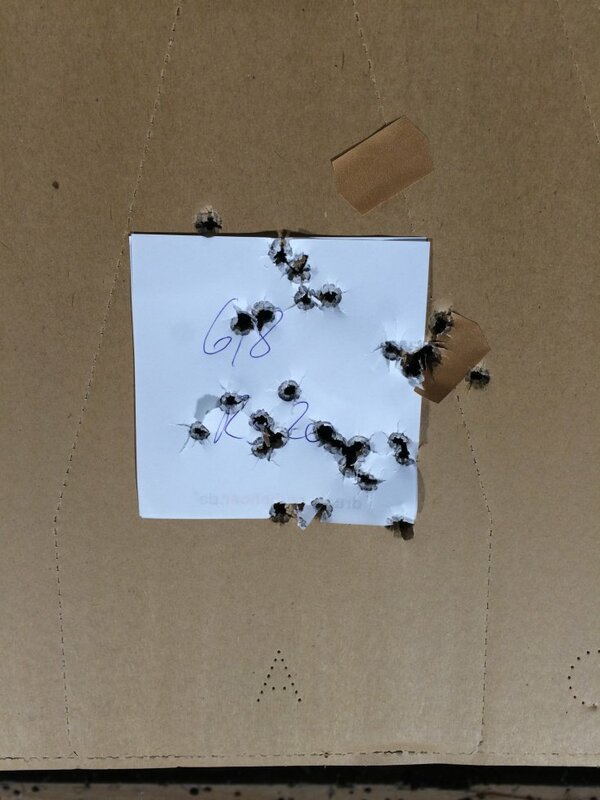 So I first made up 30 cartridges with 6.3 gr RS20 and Federal 100 primers behind a Geco 115 gr FMJ for an OAL of 31.5mm and went out to my local range. My primary focus initially was on the function of the weapon. 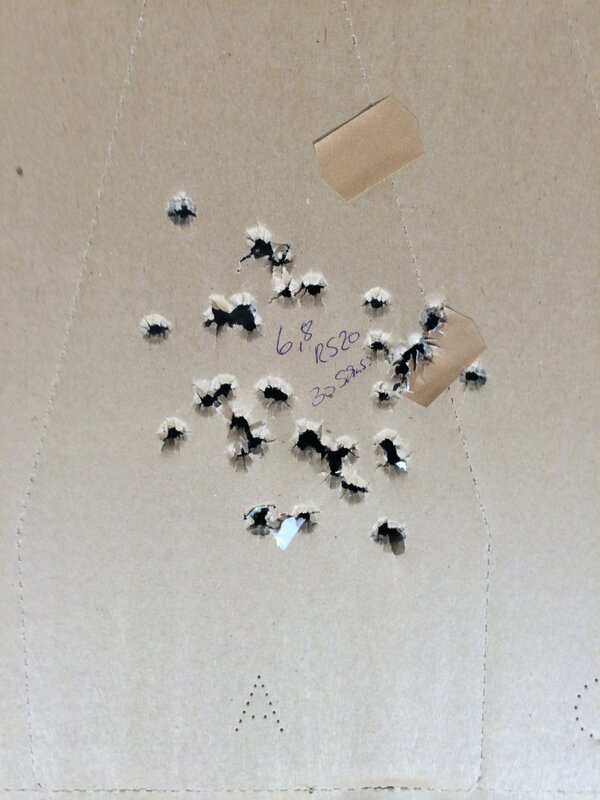 As this load repeated only around 50%, I tried another series with the published maximum load of 6.8 gr RS20. This increased repetition approx. 95%. At the same time, I bought tuning springs for my Tanfoglio to improve weapon function even with a reduced charge. The next attempt was carried out using a light hammer spring, a light firing pin spring and a slightly extended tuning firing pin, all "extreme parts" (available from www.ipscteam.ch/shop). Thanks to the lighter hammer spring, the slide is not braked as abruptly when cycling, which improves repeating. At the same time, the extended firing pin and the light firing pin spring also ensure reliable ignition even with reduced impact energy. These changes together assured 100% function with the 6.8 gr RS20 load. 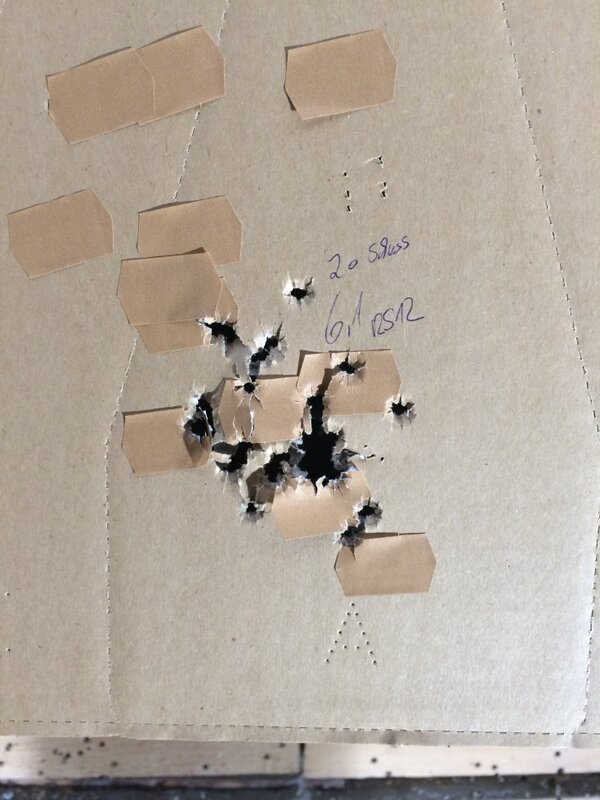 The shot group of the load and the subjective recoil were already quite good as well. Only the occasional muzzle/compensator flash bothered me a little. As I had already experienced excellent results using RS12 as the propellant in tests with my S&W 929 9mm revolver, I was of course curious to see how RS12 would do as the TLP. Unfortunately, no published data were available for .38 Super. So I contacted the RS development team, and the development head responded promptly with extremely detailed recommendations (quick-load calculations, pressure curve, etc.) for an RS12 load for otherwise identical parameters. So I took this RS12 load back to the range along with the 6.8 gr RS20 load for comparison. 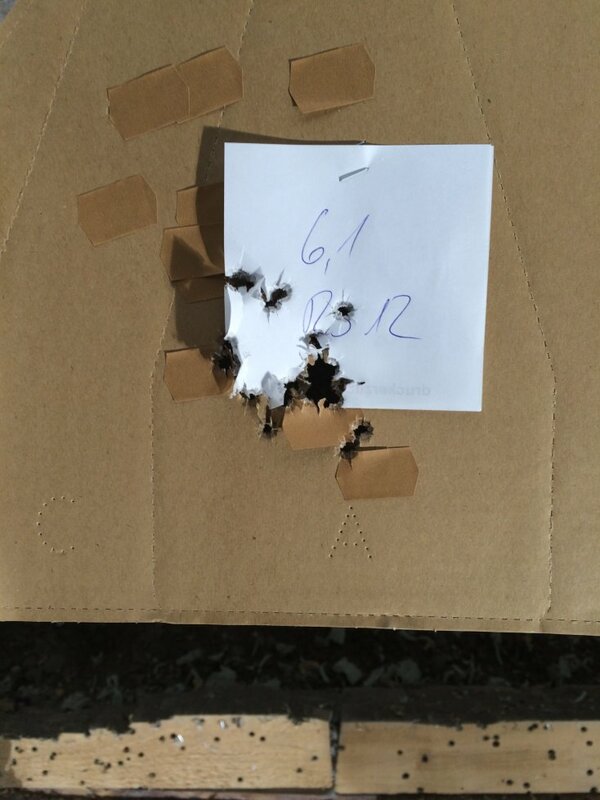 To cut to the chase: the RS12 load shot a tighter group right off the bat and the recoil behaviour was subjectively much better – the weapon comes back very straight in the hand with very little rise, which is the essential prerequisite for rapid target reacquisition, highly achievable precision and fast times! However, as this load still feels relatively "hard", the next task is achieve 100% weapon functionality at maximum precision through gradual reduction and parallel tests. To do this, the charge is reduced in 0.2 gr steps and tested at the range. Assemble the components with which you want to develop a load (everyone has their own bullet and primer preferences, such as availability, price, brand preference, etc.). Analyse the published loads with respect to the desired bullet weight and factor or momentum (if no data are available for your preferred bullet, emailing the manufacturer is sure to help!). Prepare a small batch of a test load in the middle range (possibly with multiple levels at once - a "scale" of handloads to avoid multiple range visits and save time). Range testing to determine velocity, recoil behaviour, achievable precision and weapon function.